Debutant director Tabrez Noorani’s film Love Sonia is all set to make India proud on the international stage one more time. After receiving standing ovations and awards at the London and Melbourne film festivals, the movie is all set to release in China. 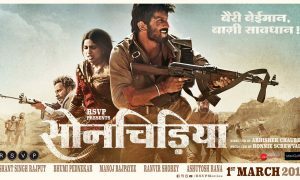 For any Hindi film to release in China, the makers have to wait for its release in India; there is then a long process for its approval. The entire process can take up to 12-18 months, however, Love Sonia has been excluded from these formalities. In fact, the distributors from across China, after watching the reactions of the audiences at the screenings in London and the strong media buzz, have bought the rights for theatrical release in China even before the release in India. Films from India like Dangal with strong female characters fighting against the odds have done very well in China and the distributors from China feel that Love Sonia’s inspiring story of a 17-year-old who takes on the world of human trafficking to save her sister will resonate with the Chinese audiences. Films which thematically deal with family and a strong women character have done wonders at the box office; it truly is an exceptional achievement for the makers of Love Sonia that this new development has put this powerful film out of India on the world stage. The film also has Academy Award-winning music composer A.R. Rahman and break out artist Bishop Briggs to come on board to create the film’s anthem “I AM MORE’. It is reported that both A.R. and Biggs were so moved after watching the film that they both decided to collaborate putting this film from India on the international arena. The film has a strong ensemble cast starring Manoj Bajpayee, Richa Chadha, Rajkummar Rao, Sai Tamhankar, Adil Hussain, Anupam Kher, Demi Moore, Mark Duplass with Freida Pinto and introducing Mrunal Thakur and Riya Sisodiya. Tamasha Talkies and Samraaj Talkies in association with India Take One Productions, Cinemantra Entertainment, and Media & Dynasty Consulting Group present Love Sonia. The film is Tabrez Noorani’s directorial debut, produced by the Academy Award-nominated producer of Life of Pi, David Womark and Tabrez Noorani. Co-produced by Amar Butala and Executive Producers include Shalini Thackeray, Deepak Nayar, and Pravesh Sahni. The Dynasty Consulting Group was instrumental in setting up the movie. Zee Studios will release the film in India. Love Sonia releases on 14th September 2018.